Overlap heavy duty foil in a roaster. Pierce both sides of brisket. Turn fat side up. Combine onion soup mix, tomato sauce and beer; pour over brisket. Seal foil and cover roaster. Place in a 325° preheated oven for 3 hours. Cool. Remove fat. Slice diagonally across the grain. 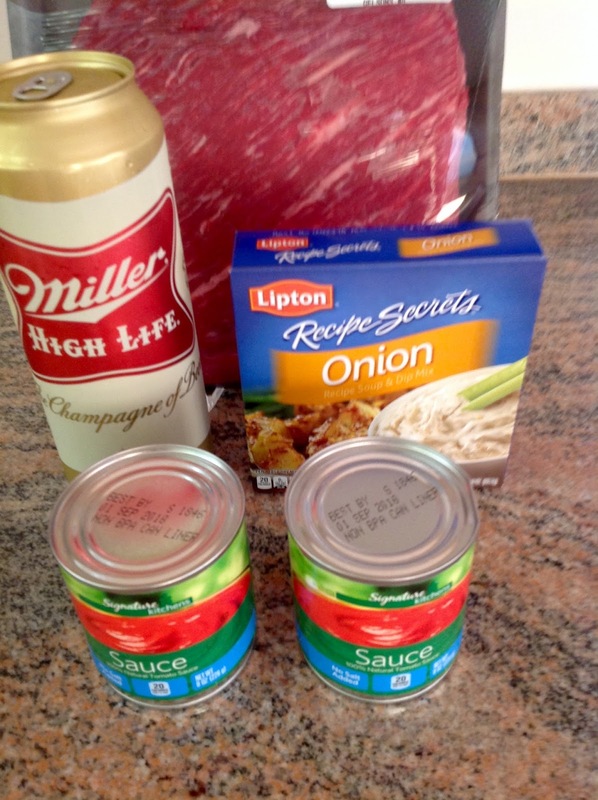 Pour sauce from foil into roaster pan with sliced meat. Discard foil. Heat at 325° again for 1 hour before serving. Freezes well. Amazing over a slice of challah! This sure looks good! Thank you for sharing your recipe!